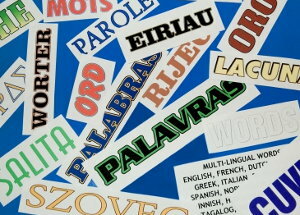 Learning a new language, whether popular or less traditional, can be very expensive. Computer programs like Rosetta Stone are not cheap, and attending classes at a local community college can also cost a pretty penny, and that will usually only teach you the basics. If you want to learn a popular language, you can always try to find a tutor or read plenty of books that can help you learn the new language, but if you want to learn something that’s not as popular, you may find yourself struggling to find a cheap way to do it. But there are plenty of ways for you to learn a new language without going broke, and the following ways can help. You never know what other languages people you know may speak, so why not take the time to simply ask around to all of your friends and acquaintances. Simply ask the question on one of your social networks and see if you get any responses. While it’s possible that nobody you know can help you, it’s also possible that you will receive plenty of feedback to help you find a tutor or other source that can help you learn your language. Check out mobile device apps. There are thousands of apps for smartphones and tablets that are dedicated to helping you learn another language, so take a gander and see if you can find an app that will teach you the language you want. Although most of these apps will cost you some money, they will cost significantly less than a major computer program. Even if the app only teaches you a few basic words, it’s still a step in the right direction. The Internet contains a wealth of information on every topic you could think of, and you may want to look here to help you learn your new language. You may come across an individual in your area who fluently speaks the language and is willing to tutor you, or you may find a free website or program that can help you get started with your language learning endeavors. Google Translate can be a great resource to help you translate what you want to learn, and though it’s not the easiest way to learn a new language, it can be a big help. Or you can check out sites like Livemocha to learn a new language for a very cheap price. Most people think that traveling to a foreign country will be very expensive, and in most cases, it will be. But, if you use the right sources, you could travel to the country for very cheap. Use sites like HomeExchange or CouchSurfer to help you travel for less. These sites are dedicated to helping you find free (or extremely cheap) ways to travel and places to stay. Although you may be sleeping on someone’s couch, staying in the country with a host family can be the best way for you to learn the language. L. Jones is currently learning Swahili. He lives in Nairobi and teaches green agricultural practices to the local community. How to Learn Less Traditional & Exotic Languages Without Going Broke was posted in Learning by Guest Author.